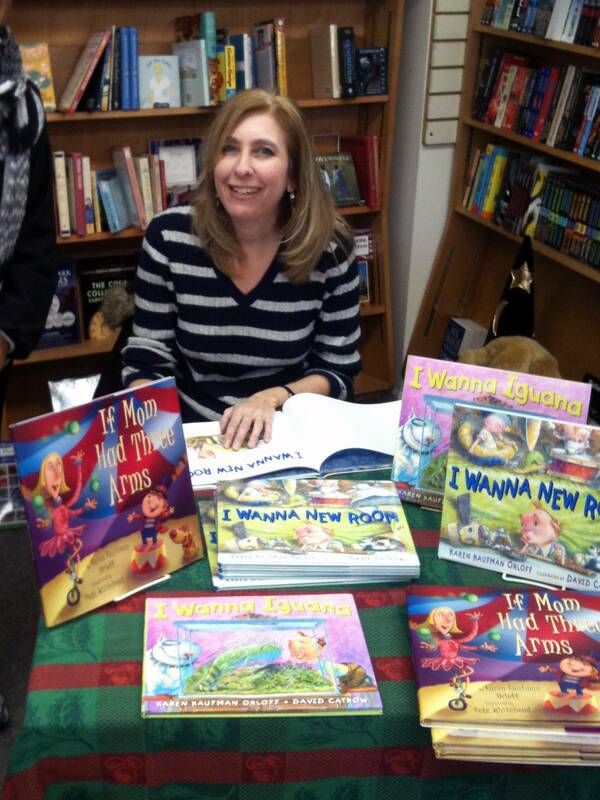 Storytime & Crafts with Karen Kaufman Orloff Bookmans Entertainment Exchange Midtown 3330 E. Speedway Blvd. 17feb1:00 pm2:00 pmStorytime & Crafts with Karen Kaufman Orloff1:00 pm - 2:00 pm Bookmans Entertainment Exchange Midtown, 3330 E. Speedway Blvd. 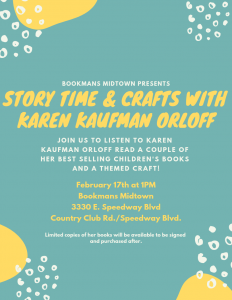 Join children’s author Karen Kaufman Orloff and Bookmans Midtown on Sunday, February 17th at 1 PM for an hour of story time and crafts! Orloff will be reading a few of her own best selling children’s books that will be available for signing and purchase after the event. Karen Kaufman Orloff is the author of the award-winning “I Wanna” series of picture books (I Wanna Iguana, I Wanna New Room, and I Wanna Go Home) as well as many other books for children. Her most recent books are “Goodnight, Little Bot” and “Miles of Smiles” and the forthcoming “Some Days.” Karen is from New York but makes frequent visits to Arizona to visit family.